S-Goods was out making paper, so DJ Deej was joined by Thursday’s Morning Show Host, DJ Sunny D, this Tuesday. The ladies reviewed three upcoming music festivals: Coachella, Governor’s Ball, and Lollapalooza. Out of the three, they were the most excited about the line-up for Governor’s Ball, which is in New York City from June 3-5. In fact, DJ Deej will be making her way out there for the festival; she loves Kanye West. Coachella? 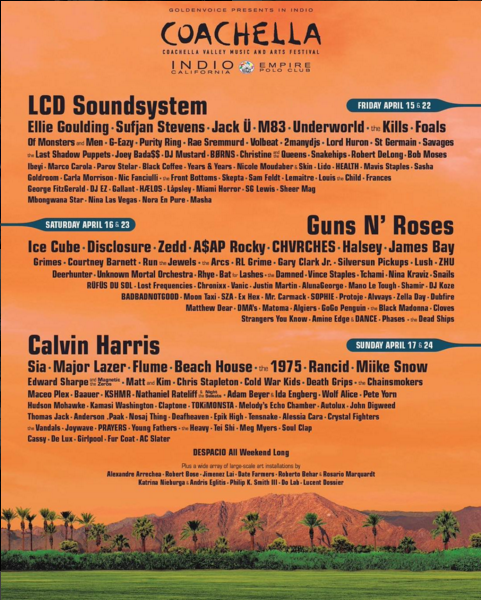 More like No-Chella. This festival is known for being huge, but the girl finds the line-up to be fairly underwhelming, and kind of odd mash-ups. 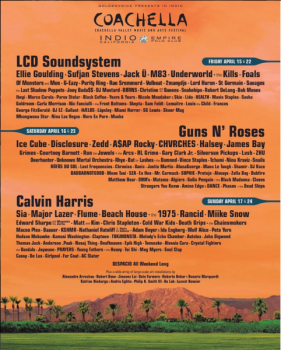 LCD Soundsystem is the opening headliner, and although both DJs are a fan, they don’t think that they are worthy of opening Coachella. 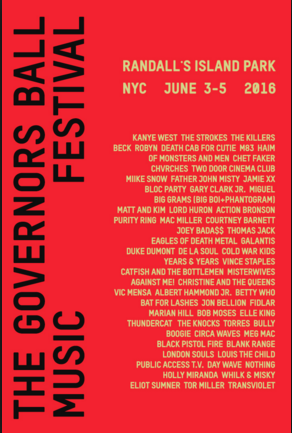 Governor’s Ball takes the cake with Kanye West, The Strokes, and The Killers named as the first three artists. It does not take place during “typical” festival time, which also sets it apart. This allows for people to hit up multiple festivals if they so choose. DJ Sunny D is pretty excited about Fidlar making the cut, and DJ Deej is stoked about Two Door Cinema Club. Chicago’s Lollapalooza shares a lot of artists with Governor’s Ball, but it takes place in August. Still stellar, but the repeats are seen as a downside. The line-up was accidentally released through their SmartPhone app, but the line-up is rumoured to have been released. If you can’t make it to Governor’s Ball, hit this festival. Chicago in the summertime though? Can’t beat it.